Mahler: Lieder eines fahrenden Gesellen (arr. 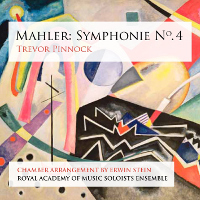 Schoenberg) is the third in the series which sees Trevor and the Academy perform and record works which are retrospectively reigniting Schoenberg&apos;s vision of performing chamber reductions of symphonic repertoire. The works in this recording transport us to a period of vast musical change: in Mahler we hear nostalgia welded with modernism; with Wagner, we hear the sunset of Romanticism; with Zemlinsky we hear the seeds of fin-de-siècle Vienna; and in all, the extremities of emotion distilled into non-symphonic forces. Arnold Schoenberg&apos;s own arrangement of Mahler&apos;s intensely personal song cycle is followed by Erwin Stein&apos;s arrangement of Busoni&apos;s landmark composition Berceuse élégiaque. Specially commissioned for this chamber series is Christopher Austin&apos;s arrangement of Zemlinsky&apos;s evocative Sechs Gesänge, which enjoys its premiere recording here. Closing the disc is Wagner&apos;s infamous Siegfried Idyll. The arrangements for chamber forces serve to illuminate the original scores; the clarity achieved in these performances expose revealing new insights. 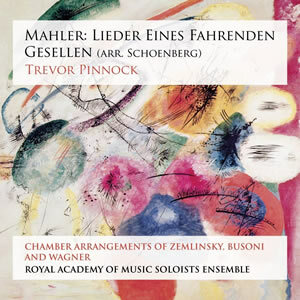 In a number of respects this is the most interesting (and certainly varied) release so far in this series for Linn of recordings from Trevor Pinnock and the Royal Academy of Music Soloists Ensemble. As with the first two volumes Mahler: Symphony No. 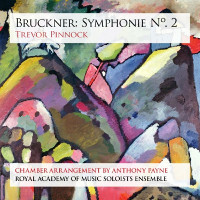 4 - Pinnock and Bruckner: Symphony No. 2 (arr. Payne) - Pinnock they explore chamber reductions of works written for larger ensembles in the spirit of Arnold Schoenberg&apos;s &apos;Society for Private Musical Performance&apos; that he founded in 1918 to both create and educate an audience for modern music in post-war Vienna. 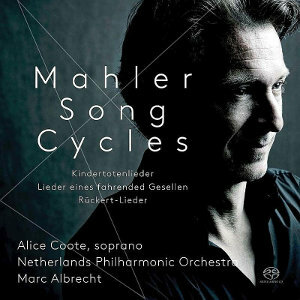 Mahler&apos;s familiar &apos;Lieder eines fahrenden Gesellen&apos; is already so transparent in texture in the composer&apos;s own orchestral version that Schoenberg&apos;s ingenious arrangement does not seem radically different from the original. The four songs are performed by Gareth Brynmor John whose light baritone is well suited to the narrative of the cycle and Pinnock&apos;s flowing accompaniment is delivered with much sensitivity by his talented young players. Only at the climax of the third song &apos;Ich hab&apos; ein glühend Messer&apos; (2.14) did I miss the force of Mahler&apos;s full orchestra – a piano being no substitute for a cymbal crash. Busoni&apos;s haunting and deeply moving &apos;Berceuse élégiaque&apos; – subtitled &apos;The man&apos;s cradle song at his mother&apos;s coffin&apos;– was premièred by the New York Philharmonic Orchestra conducted by Mahler in his final concert in New York in 1911. Here it is presented in the arrangement by the Schoenberg disciple and pupil Erwin Stein, its poignancy arguably gaining from the spare lines of Stein&apos;s chamber version. 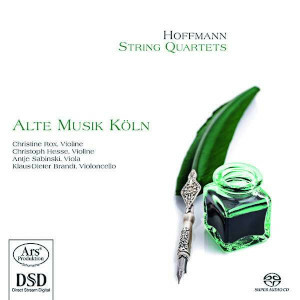 Stein did make a nine instrument arrangement of just two of Zemlinsky&apos;s &apos;Sechs Gesänge&apos; Op 13, but here we have a new version of all six made by the conductor, teacher and orchestrator Christopher Austin. The &apos;Sechs Gesänge&apos;, based on poems by Maurice Maeterlinck, were composed originally as songs with piano accompaniment (1910-1913) and later orchestrated in 1924. Like many artists of the period Zemlinsky was attracted to Maeterlinck&apos;s mysterious poetry and philosophical symbolism and in their glittering orchestral garb the composer&apos;s settings represent a striking example of late-romantic voluptuousness. Mindful of this, Christopher Austin has included an accordion and a vibraphone to enrich the palette of his chamber scoring. The vocal soloist is the young mezzo-soprano Katie Bray who, barring some occasional unsteadiness, possesses both the necessary power and beauty of tone to do full justice to these challenging songs. The final item on the disc is Wagner&apos;s popular &apos;Siegfried Idyll&apos; in its original version for a small chamber orchestra of thirteen players. The work&apos;s beauty, charm and intimacy is conveyed in a way that full orchestral accounts can never match, and one could hardly imagine a finer performance than it receives here from the excellent Royal Academy of Music Soloists Ensemble. 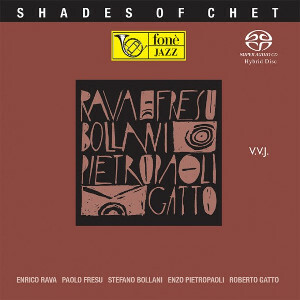 Like the previous releases in this series the recording was made in St. George&apos;s, Bristol (February 2014). The sound is very clean and detailed, but not lacking in warmth, thanks to the fine acoustic of the venue and the capable engineering of Philip Hobbs. Linn&apos;s fulsome liner notes include texts and translations, though strangely there is no mention of either singer until you reach page 38 of the booklet! Altogether a most enjoyable and fascinating issue.